It’s an exciting time for the Centre of Sign-Sight-Sound(COS) as we begin a new three-year employment project working with key partners Action on Hearing Loss and Elite Specialist Employment Agency, to deliver the JobSense project over the next 3 years, which aims to support people with sensory loss (those who are deaf, have hearing loss, blind, have sight loss or are deafblind) into work. Answering to the the Senior Vision Loss Advisor you will be responsible for identifying and coordinating a team of Volunteers to support those who are Blind and with Sight Loss into employment. The role requires someone who is experienced at identifying and working with volunteers, giving advice, support or mentoring to facilitate employment support to people who are Blind or have sight loss. You’ll also be used to working independently under your own initiative, with the ability to plan and prioritise your workload effectively. You will play a key role in the successful running of this European Social Fund project. Working with the Senior Vision Loss Advisor (Snr VLA), Employment Engagement Coordinator for North East Wales and the Vision Loss Advisers (VLAs), develop a recruitment strategy for volunteers to meet the needs of the participants of JobSense. Be fully responsible for recruiting and screening volunteers to deliver to defined volunteer role descriptions in delivery of JobSense. Accountable for processing volunteer information in line with GDPR (General Data Protection Regulation) requirements, and keeping accurate data records using the host organisation’s established databases. 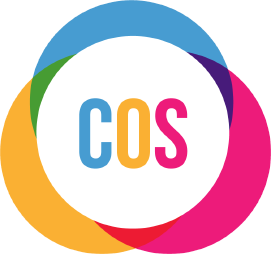 Working with the COS Project Manager, Hearing Loss Advisers (HLAs) and VLAs, to lead on generating an effective induction and training plan for volunteers to enable their full and effective delivery of their defined role descriptions as part of JobSense. To deliver, and facilitate delivery of, specialist and project-specific training as needed to volunteers. To work closely with the Snr VLA to support the careful monitoring and evaluation of all training outputs and outcomes, to assess the effectiveness of different recruitment and training methods, and to produce related reports as needed. Working with the Snr VLA, the HLAs and the VLAs, identify and support the enhanced training of ‘expert’ volunteers, towards an aim of post-project sustainability. Complete any other duties and responsibilities when requested, which are commensurate with this role. Carry out the duties and responsibilities of the post at all times in compliance with all of the host organisation’s policies, but especially Equal Opportunities, Health & Safety, Safeguarding and Lone Working. Participate in all training and other development opportunities that would allow you to progress within your current roles, as well as allow you to progress within the organisation. Such other duties as may be required to fulfil the objectives of the role. An understanding of the issues affecting people who have sensory loss, particularly when looking for work. To lead on the recruitment of volunteers to defined roles within JobSense, in line with the operation’s delivery plan. To deliver, and facilitate delivery of appropriate specialist training to enable volunteers to provide support to people with sensory loss who are engaging with JobSense in their journey towards employment. To be responsible for supporting JobSense volunteers, adhering to Centre of Sign-Sight-Sound’s volunteering policies and volunteer management best practice.